Our four Patagonian sealions are bulking up during winter. Keepers have upped the amount of food being given to male, Oba and females Marina, Tania and Deisy. 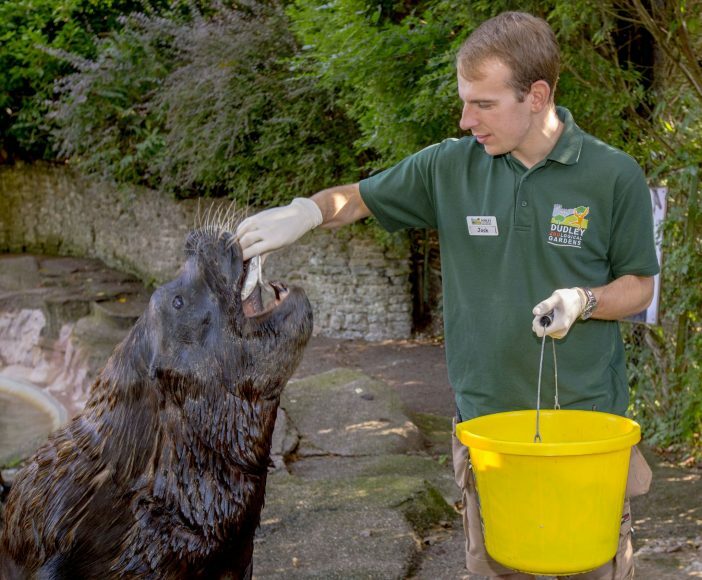 Assistant Curator Jay Haywood, said: “Sealions need the insulated blubber layer to protect themselves from the icy waters during the colder months so we give them more food to bulk up this fat which keeps them at an optimum temperature. “We’re currently feeding them four times a day and they’re each getting through approximately 12 kg of sprats. Learn more about our sealions at the daily sea lion talk and feed at 2.45pm.